If you're on the fence about whether to apply to an MFA program, check out Eric Wyatt's blog post To MFA, or Not. What it really comes down to is this: What do you get from an MFA program? There are other ways to achieve the first four (if you are dedicated and focused) but the fifth one is where an MFA program sets itself apart. Where can I leave comments about a particular program? I remember that when I was researching programs I always struggled to find information about certain programs (updated information, at least) and wasted lots of time looking through "comments." The MFA Blog would truly benefit from a different format, something more along the lines of a message board (or just have one included), like the "Grad Cafe," which is easily searchable and organizable. Anyways, I just wanted to say that UC Davis' MA with an emphasis in creative writing program seems underrated around here. Every student in the program this year is fully-funded (tuition and stipend) and it's been that way for many years now. What's more is that it has faculty like Yiyun Li, a very good English Department (the PhD program ranks around the top 25 all programs in the United States and the MA students take classes right with the PhD students), and a pretty good location. Did this get any attention here? If not, it seems odd. Over 200 creative writing faculty calling Seth on the absurd ranking system he insists is somehow valuable? I truly hope Poets and Writers gets rid of these rankings! College and graduate school rankings have become far, far too influential; they're not what education is about. Bravo professors! I had to research a lot after reading this! I recently finished up my MFA at University of Central Florida and I'm in the process of moving to New York to attempt to get my foot in the door of the publishing industry. If I ever had to give anybody any advice on whether or not they should go to graduate school, I'd really tell them to look at their intentions. I taught intro to creative writing courses my final year in the program, and I'm extremely thankful for that experience, not just in a practical at-least-I-can-teach-at-the-university-level-now manner but also just because it opened me up to my own writing philosophy in a way I don't think I could have articulated otherwise. I don't regret getting my MFA, though being in the job search right now I can say it doesn't really make your chances of finding a career any higher. It really is about how much you love the craft, whether you really want that time to improve and take your writing career seriously. I wrote a novel for my thesis called "Quarter Life Crisis or How to Get Over College and Become a Functioning Member of Society" (ironic, I know) and even the basic philosophy there--which I found out was my own philosophy as I wrote the thing (funny how writing can tell you things about yourself you didn't know before)--was that college overall is only beneficial if you're attempting to reach a goal other than just "I want to get a degree." Basically how I feel about the MFA. I'm curious about the "credentials, opportunity" bit--esp. in regards to teaching. . . . Basically, I've heard from even the most established academics & writers that the MFA is worth little to nothing apart from satisfying a bare minimum requirement. Perhaps "PatrickAndersonJr" is alluding to this. I posted some rather lengthy comments on this topic here (http://www.blogger.com/comment.g?blogID=15642985&postID=5640573375352378908), but nobody ever responded. I'm very interested to hear from others about the potential value or non-value(?) of the MFA for obtaining teaching positions at reputable schools/programs. Thank you. I also miss the "Mailbag" posts of yesteryear. I'm an MFA at Oregon State and would love to encourage folk to apply! Email me at searchoflosttime at gmail if you're curious. I am so, so happy to be in this program and would like to spread the love to applicants. I agree, can we please have a mailbag? I could really use the sense of community and advice they bring to this harrowing process. Thanks! Having an MFA does little to increase ones opportunity (i am not entirely sure what that means anyway). Credentials in the art world usually stem from ones work being good (IE it sells for $$$) or recognized (IE some one famous already paid some $$$ for it). In any ways it hard to reconcile the fact that an MFA degree in the US costs 100K $ or more. no MFA will ever generate this amount of money over a life time. Seth, you are the preeminent MFA scholar and I've spent the day reading your advice instead of working. I'm also a Boston based lawyer, but I hate my job and would love to pursue a career in creative nonfiction. I'm considering the Emerson MFA and starting in fall 2013. In the meantime I hope to continue working, saving and writing. I solicit your advice on this program. The most important things to me are funding and teaching opportunities. My only resource thus far has been the Emerson website, but I'm skeptical. What are your thoughts on this program? I did not dream of paying anything for my MFA, i was lucky to have rich white parents who could afford to put me up, a grown man, for 3 years, while i spent that 100K and more "getting a terminal degree" in my field, with the hopes of impressing their neighbors with stories about their soon to be successful son, or something or another (after it turned out, i will not be an AF pilot, lawyer, or missionary advocate). where i went to school, RISD, there are no scholarships, especially if you are not part of a minority, and come from a broken home (dont all we artists do..? ), have been in jail\russia or other far away land for a large portion of your life, and even then they are scares. all the other school i applied to, did not have any kind of scholarship\stipend, and their tuition was just as high. UNM, which is a state school, was cheaper, comparing to any other schools it was basically free. one of my professors in BFA used to say: "the MFA program is a business product, like a financial product. they sell it, there is a market for it. do you really need it? does it advance you in any way? will you get an education? NO. do you need to buy it in order to try to apply for some prospects in the art world? YES. does it matter which one you get? not really, as long as you paid alot for it, or you got it for free because of some great story." Either way, i dont see how one can get an MFA in the US with out paying any money. perhaps i was just looking in all the wrong places, but all those that i found were crazy expensive, not that at 100K a thousand dollars a semester makes that big a difference. so i am not sure what you mean with "no tuition waver, no MFA". There are some very quirky things happening w/ either blogger or my acct. (comments showing for others but not for me, comments appearing briefly then getting removed). One more test here. Yes, the "community" feel and mailbags are much missed. Without such, this blog is quickly burning out--at least that's how I feel w/ my visits here becoming fewer and fewer because of this trend of lack. Comments are going increasingly scattered & unanswered across threads. . . . That said, thank you, thank you, Omer Hecht, for at least addressing my above comment. (I'd still like more to weigh in, however.) Though as for your criticism on "100K $" MFA tuition costs: that's a bit out of reality's context I think. Most folks I know would never even consider spending a dime in tuition costs on the MFA. Their mentality, which I, too, share and believe to be the sound one: No TA (and tuition waiver) offer, then no MFA. Omer, I don't think you were looking in "the wrong" places--just different places. Almost everyone is looking for something particular in the programs that they want to apply to. 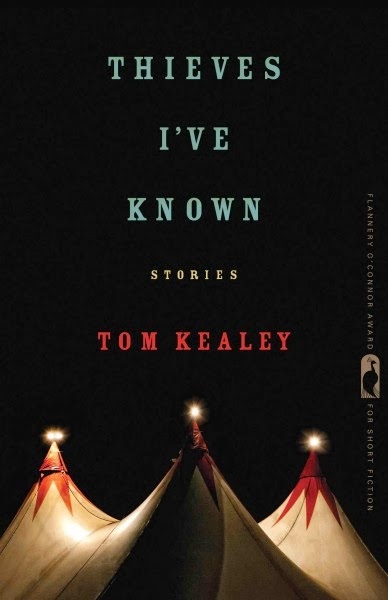 So it's interesting to hear your MFA story. However, yours is pretty different from those whom I know. Also, I am applying to a total of nine different programs--and all of them offer the TA & full tuition waivers to most of their accepted applicants. So I don't know if you were indignant/pissed or sincerely confused about my above comment, but what I meant was that I and many whom I know would *never* consider going for an MFA unless they were offered that TA & tuition waiver. . . . In as much, I completely agree w/ your and your professors' insights about the MFA being largely a financial product--and aren't most all degrees in the humanities that way now. That's why a TA & tuition waiver (and something like a plan to teach) are absolute musts in order to avoid the scam. The truth is i was amazed to hear there are poeple out there going after MFAs who actually care about how much it costs, or are willing to debate the costs at all. I guess in the field i was studying (photography) there are no MFA options that are tuition free, and like i said most of these MFA programs don't even have scholarships to offer, at least none for me, a middle class, white person with two hard working perants who himself is hard at work. I plan on teaching, that was the only reason i went through this horrible ordeal of an MFA. at one point i thought its important to go to a "good" or "top (fill in the blank) something" school. i went to school with poeple who literally thought there would be scouts waiting at the door of their hooding ceremony with their name on a sign, asking to hire them for who knows what exactly, or maybe a gallerist who wants a 100% profit contract. this might be the illusions of grandeur to be associated with a high profile high cost school, but i think its the case with what an MFA actually is (or rather isent) in real life. I was born and raised in a country in which higher education is subsidized to the extent that it is basically free, and so i too wish i could have gotten proper education, including an MFA, in the US with out having to be in debt for the rest of my life, and those to follow me. so i am fascinated to find out - what and where are these schools were one can get a tuition waver for an MFA (with out having a military branch pay for it)? Omer, an MFA in photography you say? I thought you were talking about creative writing (the focus of this blog). Big mis-communication. So, yeah, I can't speak to anything about photography or visual arts MFA degrees. . . . But as for writing MFA degrees and programs w/ full funding offers: most are listed in the "top 50" rankings found here on this blog or at PW (http://www.pw.org/files/topfifty_secured.pdf). But - all that being said, i guess an MFA is an MFA, the bottom line being it is some kind of credentials referencing ARTistic abilities. I stand corrected regarding the cost of a creative writing MFA (should have had my creative\attentive reading hat on earlier). There are several reasons I did not want to do an MFA. 1) Cost ... I already needed to pay down about 20k in debt from undergrad, even if I were to receive full funding, there is also that opportunity cost of 2-3 years you couldn't start actual work, rent, etc. The quicker I could get on with my life, the better. 3) Leading from point 2... I already did my undergrad in Creative Writing in which I did more workshops than most MFA's require at a top school (Northwestern). Looking at the course content, the workshops of the MFA are roughly identical in content to the classes I already went through. Sure I would get more eyes on my work, but getting A's in my writing classes already ,several published items, I don't think there would be much to learn about craft or technique. I'm fairly uninterested in the literature aspect of the courses, which I'm sure are interesting, but I can read the same books and reflect on them myself after what I consider great teachers in undergrad. 4) Now, I do not have a best selling novel to my name, but from my research, I didn't see that taking on an MFA would help in that regard. I'm sure an MFA would be great for many people, but if you already did your Undergrad in Creative Writing at a decent school, I'm not sure how much you would benefit if you don't plan to teach or use it as a credential. If you do, then by all means pursue it. Otherwise I believe just writing and having a few people to look over your work will suffice. I have to respectfully disagree. In my undergrad, I majored in creative writing (fiction) and minored in English--by the time I graduated, I took 21 English/writing classes and got As in them all. I'm graduating from an MFA this coming June, and I am absolutely astonished at how far my writing has come. A CW MFA environment is much, much different from a CW undergrad environment--different challenges, peers, professors. It's not just "people" who are looking at your writing. I'm at a very small program, for example, and not one that is considered top-tier, and all of the creative writing faculty here have published many books and won many fellowships/awards, including Stegners and Guggenheims. Having professors like this look at and pay careful attention to my writing in such an intimate environment has been invaluable, and is something I'll treasure forever and miss very much when I'm finished with my program. 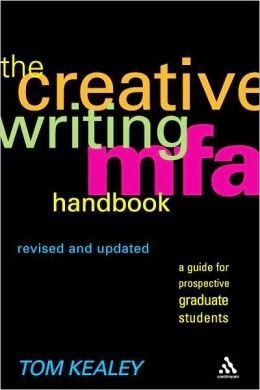 While I acknowledge that every writer has different needs, I strongly believe that MFA programs do much more than just provide one with a credential. I also highly doubt that any writer, no matter the level of accomplishment, doesn't have much to learn about craft or technique. This is very, very helpful. I'm thinking of a low residency, and this is helping me solidify things in my mind. I'm thinking about applying to a low residency program too...I've found a few helpful resources but not many. If you have any suggestions, please share them! Tom, Seth, or Nancy: do you think you could put up a mailbag post? We're now right at the epicenter of submission time, and I'm sure there are plenty of folks who have pressing questions. Interesting! I always wondered why I decided to never get an MFA--now I know! This is great information for students. This article is very helpful i really like this blog thanks. I also have some information relevant for masters dissertation proposal. please update more article i like to see more description thank you. hello friendI am big fan of your articleyou website contains uniquecontent. statement of style and quality unlike any other. Awesome Post, I like it very much because of it is very easy to understand and useful. Multisoft Virtual Academy – Instructor-led live online training programs:- http://www.multisoftvirtualacademy.com/. its intense and robust training program, globally. <1> MVA deploys unique e-learning solutions that make learning easy and interesting. <2> MVA is an online training institute that delivers core industry knowledge through its intense and robust training program, globally. Multisoft Virtual Academy is an online subsidiary of Multisoft Systems that deal with a broad spectrum of learning solutions including Classroom, Corporate, and E-learning. <3> MVA is a 360-degree learning solution. <4> 24*7 & 366*12 Support assistance. <5> Group & Individually study mode. Great and Helpful Post. I like it very much because it is very easy to understand and useful. ThanksOur support team which is presented 24/7 are happy to help you for the same. Any concerned users may reach out to our Bread wallet customer support number+1888-712-3146 for any issues related to bread wallet. Bread Wallet Phone number+1888-712-3146, Bread Wallet customer support. Important information. I was checking always this weblog and extremely helpful information We have our dedicated team which can help you to recover bitcoin from Kraken and help you to unblock your account, don’t wait, and contact us on our Kraken support number+1888-712-3146. Great post, thanks for sharing .If you want to get More information about Energy Audits so you can visit now.